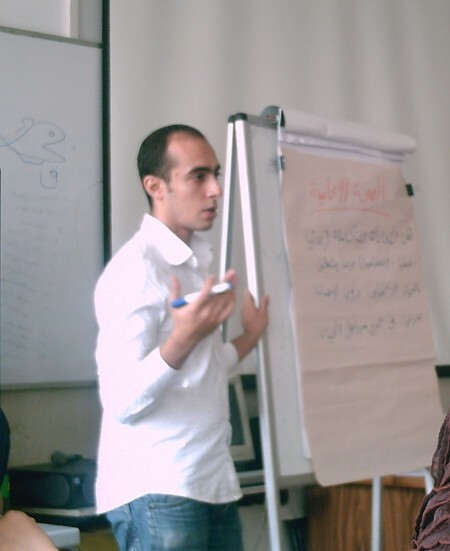 “Exploring Taboos” project, organized by the Nazra team in Cairo, and is one of the newest grantees of Rising Voices. The project aims to provide a safe place for women and men of Egypt to discuss issues like gender equality, sexual diversity, female genital mutilation and and other taboo subjects. We have already reported about the first workshops and the first blog posts of the Exploring taboos project. 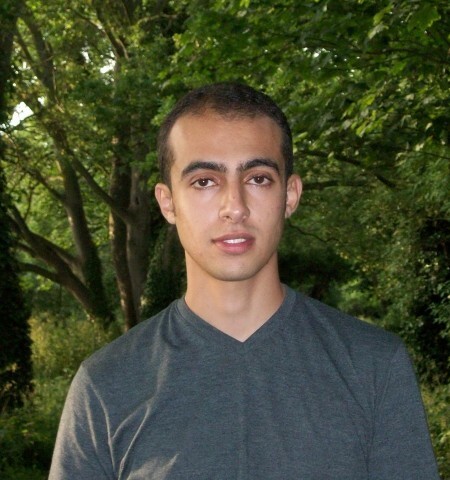 Ahmed Awadalla participated in the first workshop of the Exploring Taboos Project. He is a trainer and educator at Cairo Family Planning and Development Association (CFPDA). Established in 1967, this organization provides technical, administrative, and organizational support regarding comprehensive family planning services and health education to 34 member associations in Egypt. I am currently managing a youth program that aims to increase the awareness of reproductive health and sexuality issues of Egyptian youth. I am passionate about my work as I am very interested in the linkages between health, sexuality and human rights. It is a challenging job, as the rising conservatism in Egypt is making it much more difficult to work in areas related to sexuality. Despite the criticism, I enjoy my job and working with young people. RV: How did you learn about the Nazra group and the Exploring Taboos project? Ahmed: I learned about the exploring taboos workshop through networks of contacts on Facebook. I was excited to go and see how the training would go, and the people behind the workshop and their approach of exploring taboos. I was also interested in knowing what kind of people would show up for such an event, because it's unusual to have a workshop to explore taboos. RV: Please tell about your impressions about the training. How the participants reacted and motivated? Are they picking up blogging? Ahmed: I really enjoyed the training; it was very informal and made me feel so familiar with everyone. The selection of the trainers was smart. The interaction amongst all of us was great. I am happy about the results of the workshop so far. All of the participants started their own blogs. Some of them personal, others a bit formal, but it was really interesting to read the various topics and themes they wrote about. RV: Did you blog before? What do you think about blogging in Egypt? Ahmed: I have attempted to blog before. Blogging is such a great thing. I remember a funny quote I heard from a social media activist about it; “I blog, therefore I exist.” I really enjoy writing and expressing myself. People here in Egypt tend to forget the importance of self-expression because of the decades of repression we lived in. However, this repressive stronghold is beginning to break down little by little. RV: What are your impressions about Twitter and Facebook as tools for Social activism? In Egypt, Facebook and Twitter play a very important role in social activism. This is partially because of the lack of freedoms in our country, and the harassment of the state to activists, so a lot of people use Facebook and twitter as a space for expression and to advocate different causes, particularly young people. Although it is great to have more people voicing their concerns, I feel that social activism must be taken to the street to effect real social change. RV: You blog in English, not Arabic. Is language an issue in Blogging? Language was an issue that preoccupied me whenever I thought of blogging. I wanted to write in Arabic to be able to get a readership in my own country. I decided to write in English because it's almost a universal language so I can connect with a global audience and get my voice heard outside the boundaries of my country. I also hope I would start blogging in Arabic soon. RV: How did you come up with the blog title ‘Rebel with a cause‘? The name of my blog comes after the famous James Dean’s movie “Rebel without a cause”, with a little modification. Clearly, I felt I was a rebel in my society. In Egypt, most people try to conform to others and what they expect from them. I chose to go on the path I chose for myself, on personal and professional levels. That’s why I thought of myself as a rebel. I also think that I have causes that motivate me to pursue this path such as justice and respect for everyone. RV: Although Female Genital Mutilation has been banned in Egypt in 2008, it is still being practiced. Is the government doing enough to aware people? How do you think that Nazra activists can address the issue and bring a change? FGM is one of the severe issues in our society. Statistics show that it is still widespread despite its criminalization in 2008. The government adopted the issue and there is political will to eliminate this practice. The government has a program to end FGM in collaboration with local NGOs. The practice is somewhat declining, but more efforts and dedication is needed to get over it and to educate people in their local communities of the negative consequences of FGM. I think that what Nazra and other activists can do to combat FGM is to continue to press the government so it would remain higher up in the agenda for reform. More importantly though, I think it is very important to engage the community. Activists should always think of ways to get their messages across to the community and to engage them in discussion. RV: Can internet effectively address Taboo issues, which are difficult to discuss face to face due to social norms? I think the internet can be used to address various issues; particularly social taboos as it might pose a risk for some people to address them directly. However, the scope of internet activism is quite limited to people who have internet access and a relatively high level of education. A lot of taboos still exist (such as religion and sexuality) and need to be addressed to all sectors of society. The internet is increasingly being used for political and social activism, however sexuality issues remain largely ignored. RV: What are the challenges of today's activists in Egypt? What are the impressions of the society about them? It is quite hard for activists here. Activists have been at subject to arbitrary detention, torture, etc. Especially those critical of the political or religious establishment. Additionally, they are at risk of censure and ridicule especially when they advocate for issues that do not sit well with the local culture and tradition. The community here is quite conservative and sexuality issues are not usually publicly discussed. A lot of people here reject sexuality education either based on the false assumption that it promotes “immoral and indecent behavior” or dismiss it as a trivial issue and advise us to focus on “more important issues” making it harder to get wider support for sexual health education programs; although it is a critical area that affects people at different stages of their lives and where knowledge is very little and misconceptions are very common.